"For a company, a website is an integral marketing platform. HeartCore does more, however, than provide a simple website creation tool - in addition to supporting businesses, sites, and business scenes of all shapes and sizes and making it much more efficient to operate the websites that represent your company to the market, HeartCore can serve as the foundation of your marketing activities." This is according to the company's website. 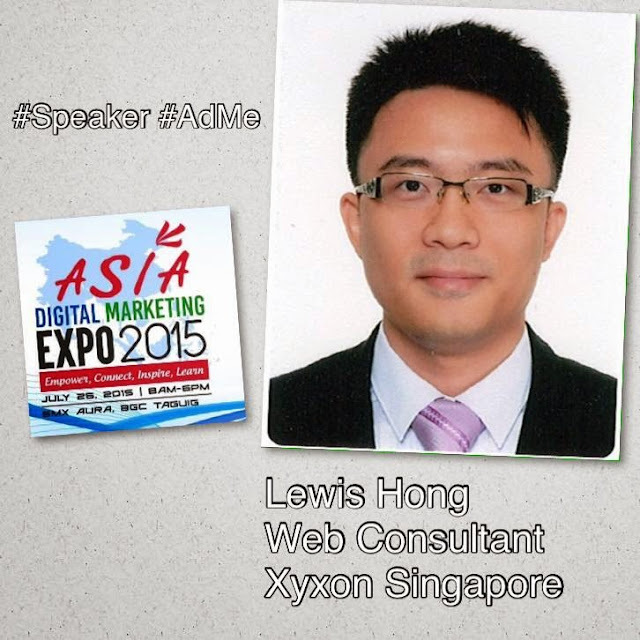 XyXon’s HeartCore® is the Asia’s leading Web Content & Customer Experience Management (CXM) platform partners with Asia Digital Marketing Expo 2015 with Lewis Hong as one of the speakers who will be coming from Singapore to share his expertise. XyXon and HeartCore provides enterprise clients with a powerful Web Content Management (WCM) system that makes it easy for Corporate Management to implement/construct functions for developing, editing, updating, analyzing, searching, and controlling access to content. HeartCore is currently used by over 3,000 companies in Asia, including Apple, Casio, Hitachi, Japan Airlines (JAL) and J-Stream. XyXon Heartcore is headquartered in Tokyo, and maintains locations in Okinawa, Philippines and Singapore. Maria Camille Montejo - CEO, NWSteel Technologies & Tree Top Adventure Inc.